Cervical MRI is also sometimes known as an MRI of the neck in layman’s terms. The neck is the second most common location for back pain-related spinal magnetic resonance imaging evaluation, falling short only to the lumbar area, which is the all-time winner. The cervical spine can demonstrate a wide range of structural abnormalities and injuries which may be responsible for causing neck pain. Therefore the best way to assist in the diagnostic process for structural pain conditions is surely through MRI testing and objective reading of the images by a truly qualified and objective radiologist. This narrative details magnetic resonance imaging as part of the diagnostic process for neck pain complaints. What is a Cervical MRI? A cervical magnetic resonance imaging scan is a diagnostic procedure which will take vivid photos of the inside of the spine, from multiple angles and perspectives. These images can be pieced together to form a lifelike 3D model of the spine for any given neck pain patient. Being that MRI technology visualizes both bone and soft tissue effectively, it is the best and most comprehensive diagnostic study tool available to doctors and patients alike. It far surpasses CT scanning and is light years ahead of simple cervical x-rays. Actual testing is still very slow and uncomfortable for many patients, particularly those who are claustrophobic and those who have a difficult time getting into the position needed for the exam and staying completely still for 15 to 45 minutes. The benefits of MRI testing are obvious. This technology can clearly see inside the spine without any exploratory surgery needed. It can help diagnose fractures, herniated discs, arthritis, abnormal cervical spinal curvature, spondylolisthesis and a range of soft tissue conditions, such as ligamentum flavum hypertrophy. It is truly close to a medical miracle. MRI allows patients to better understand the structure and possible health concerns in their spines in a way never before possible. The shortcomings of the test include the fact that the machine does not provide any diagnostic results at all. The machine can only produce the images, which are then deciphered by a doctor. This is where the subjectivity of the test becomes its weakness in many cases. Want proof? 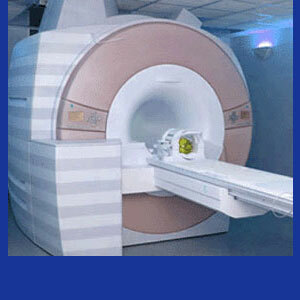 Take your MRI films to 3 different doctors without previous reports and you will likely get 3 very different readings. I know I did on many occasions. Spinal MRI is still the king of diagnostic tools in the back and neck pain sector. We routinely recommend that patients talk to their doctors about undergoing these evaluations when pain continues despite initial treatment. We typically recommend that patients choose the doctor who will read their images, as opposed to leaving the task to whomever is arbitrarily assigned to it by the diagnostic imaging facility. This is always one way to ensure more accurate reporting on the images produced. Just remember that MRI is completely reliant on the subjective opinion of the evaluating doctor. If they want to get you in treatment, they will really turn on the nocebo effect of the wording and play-up any possible causes and contributors rather than simply reporting on what they see from an honest and objective view of the spine. We see this so often, particularly in patients who are being treated in combined care practices with in-house radiologists and those who have fallen victim to a neck injury and were convinced by their lawyer to visit some puppet doctor for re-evaluation. Either way, these practices of exaggerating, and even fabricating neck issues which are not likely to be causative or contributory, is little short of criminal.